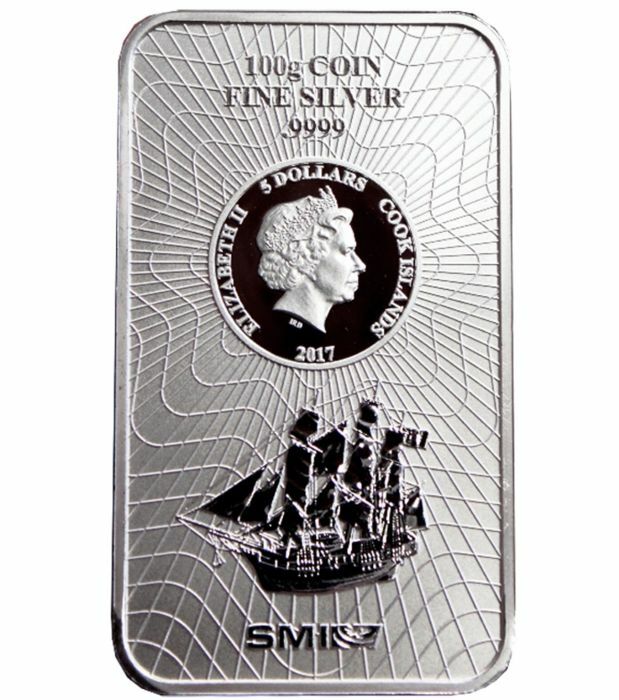 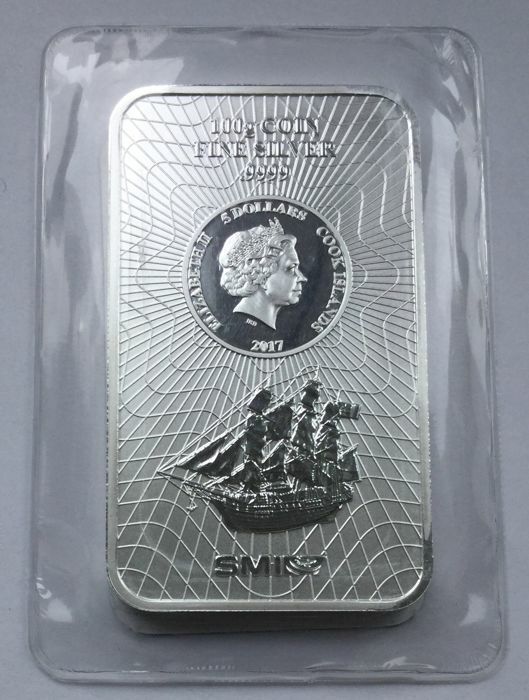 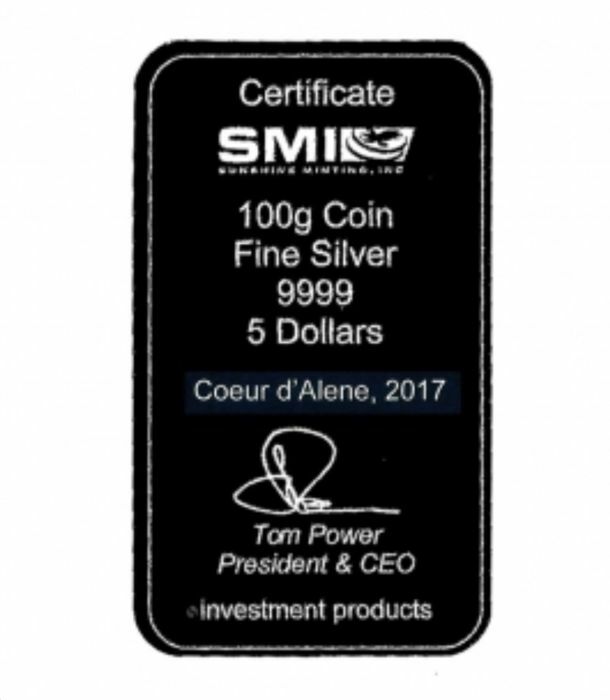 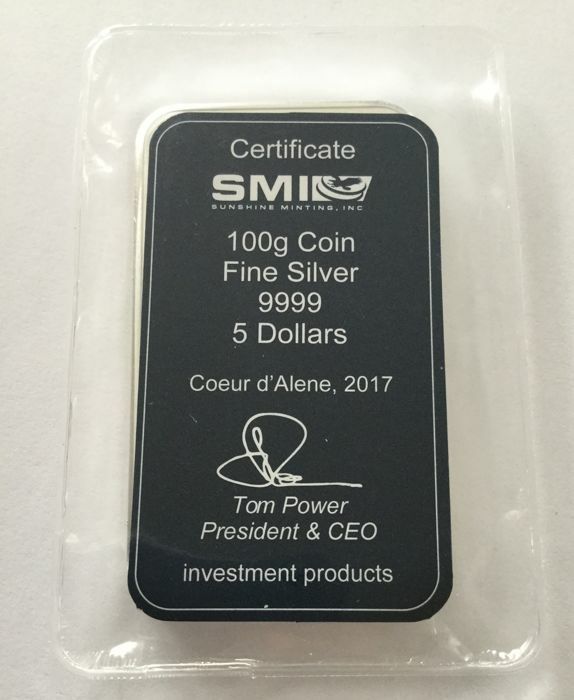 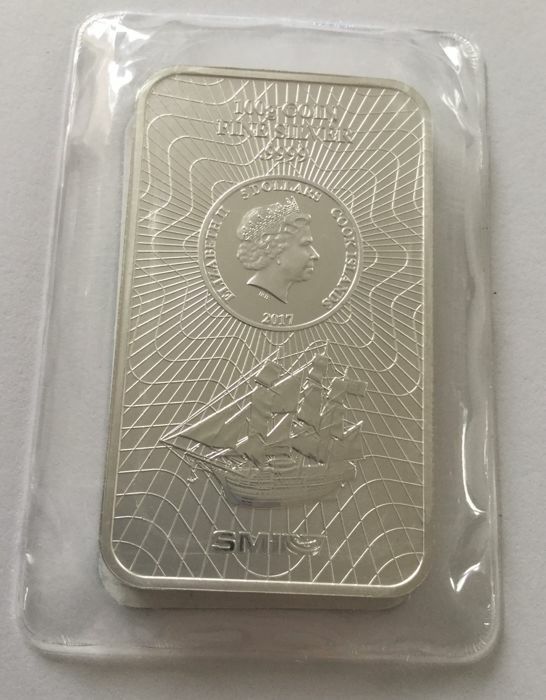 New and freshly minted coin bar/silver bar. 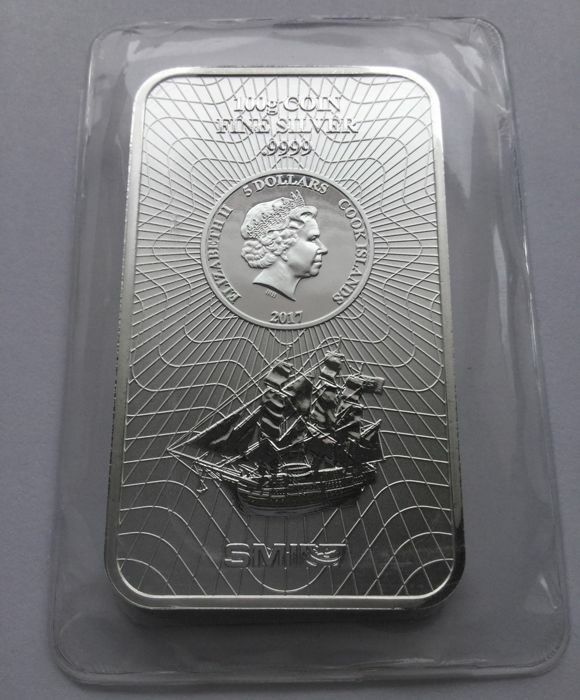 Cook Island: 5 dollars, 2017, new design. 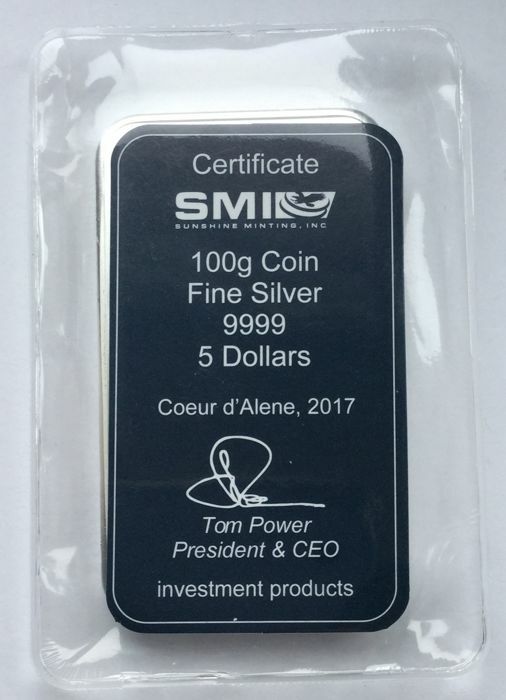 Freshly minted bar with certificate, sealed in plastic.